As buzz builds around the future of real estate transactions facilitated with digital currency, the Securities and Exchange Commission has charged two cryptocurrency companies — both owned by businessman Maksim Zaslavskiy — with defrauding investors through illegitimate initial coin offerings (ICOs) supposedly backed by real estate investments and diamonds. In July Zaslavskiy raised funds for REcoin Group Foundation, which he advertised as “The First Ever Cryptocurrency Backed by Real Estate,” in exchange for tokens. 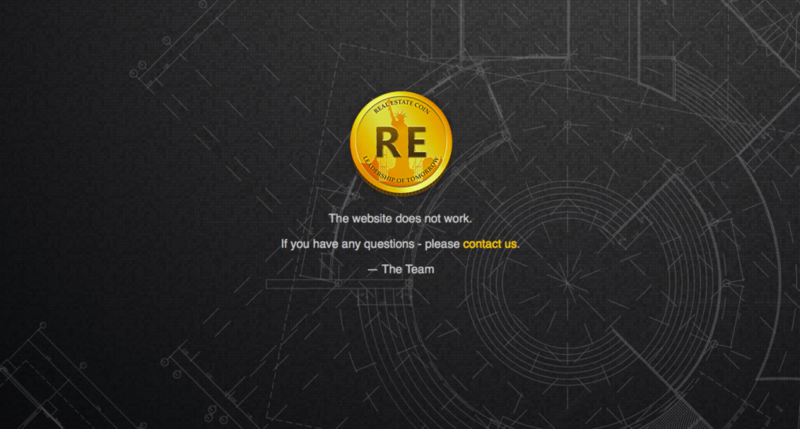 On the REcoin site, which is now shut down, Zaslavskiy told investors the company had a “team of lawyers, professionals, brokers, and accountants” that would invest the ICOs into real estate ventures. According to the SEC’s findings, Zaslavskiy and REcoin said they had raised between $2-4 million from investors while the actual amount is approximately $300,000. The second alleged scheme was conducted through Zaslavskiy’s Diamond Reserve Club’s ICO that supposedly invested in diamonds and offered retailer discounts for individuals who bought memberships in the company. The SEC contends that Zaslavskiy and his companies have been selling unregistered securities, and that the digital coins and tokens promised to investors don’t exist. Zaslavskiy promised investors that they’d receive “sizable returns” from the companies’ operations. As of now, the SEC has requested an emergency court order to freeze Zaslavskiy and his companies’ assets. The Commission is also seeking permanent injunctions and disgorgement plus interest and penalties. Furthermore, the SEC is pushing for an officer-and-director bar and a bar that Zaslavskiy will keep from participating in any offering of digital securities. The federal government has been wary of ICOs for some time due to concerns about them being “thinly-veiled” scams, and some say the case against Zaslavskiy and his companies may be the beginning of a government crackdown on the industry. “Imagine that a friend is building a casino and asks you to invest. In exchange, you get chips that can be used at the casino’s tables once it’s finished. Now imagine that the value of the chips isn’t fixed, and will instead fluctuate depending on the popularity of the casino, the number of other gamblers and the regulatory environment for casinos,” he wrote. In early September, China banned ICOs after a number of issues with fraud, the latest being a $500 million casino ICO run by a Hong Kong-based gangster on the island of Macau. South Korea followed suit on Sept. 28 to squash ICOs in the country as a preliminary measure to stop fraud.